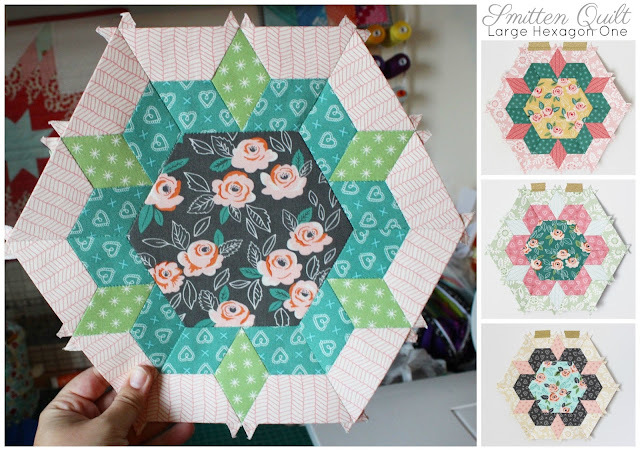 Smitten Quilt: Large Hexagon One and Getting Started! 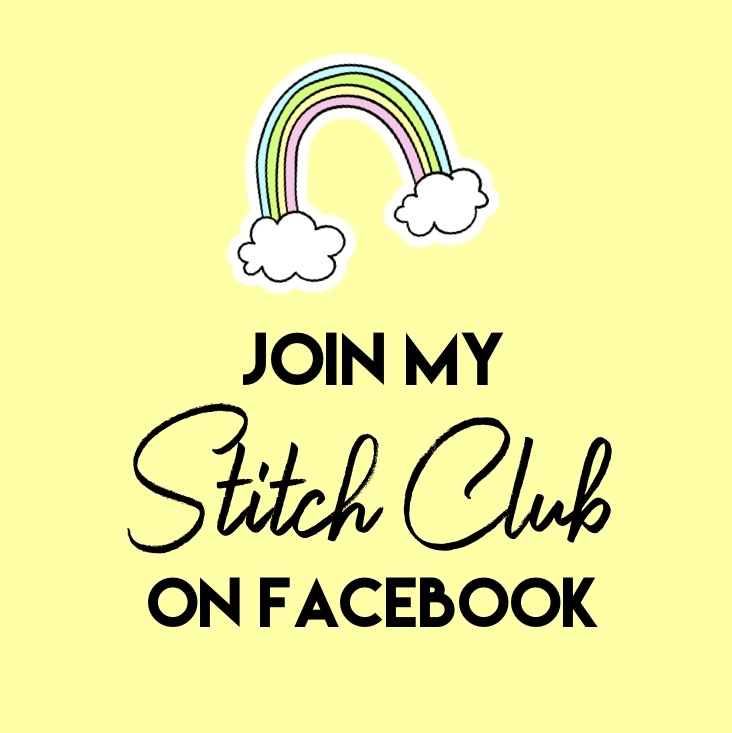 I am super happy to share that I have started my Smitten quilt! This project is something I have had my eye on for a very long time, and I finally took the plunge and ordered all the supplies (papers, acrylic templates, and pattern) from PaperPieces.com. The pattern is by Lucy Caron Kingwell, and there are multiple ways to piece it, but I will be using the English Paper Piecing method for my entire quilt top and hopefully entering the finished quilt into our local county fair next Summer. (And by hopefully, I mean.. I hope it's finished by then LOL). 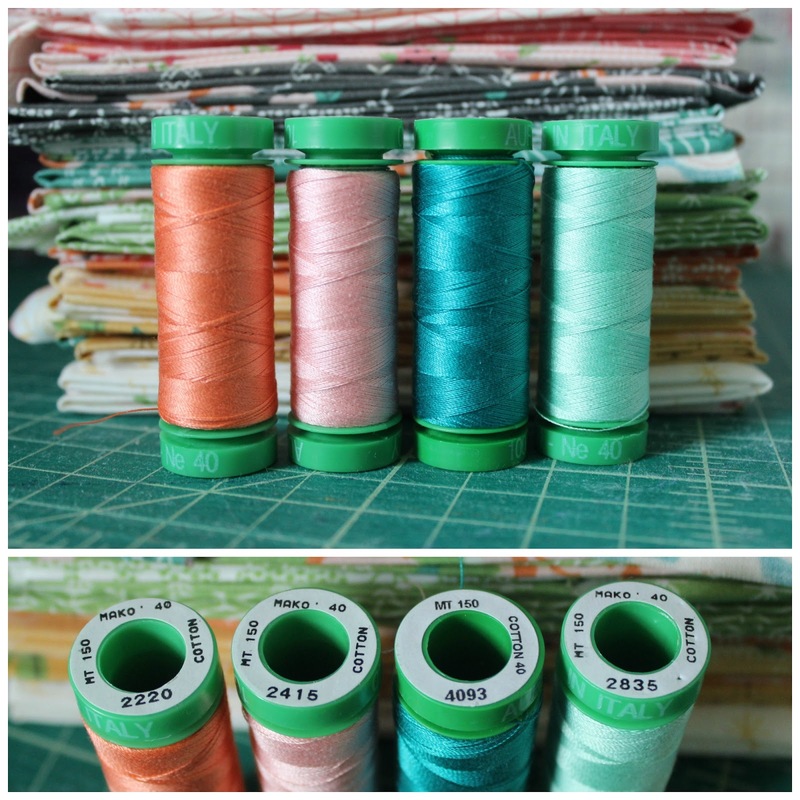 I chose the Sugar Pie fabric line by LellaBoutique for my quilt and a range of Aurifil threads from my collection to fabric. I chose these fabrics because wanted something that had a good color range, but not something too loud or crazy. Once I had all my supplies together, I started on a small Maker's Tote to hold everything for this specific project and quickly filled it to the brim with everything I needed. I'm beyond pleased with this bag. It easily held everything I needed! I also purchased this little 6" x 8" Olfa cutting mat for less than $5 shipped on Amazon and it fits perfectly in my Maker's Tote as well which makes me super duper happy! Don't you think the Large Hexagon One blocks turned out beautiful?? This has been a relaxing and really fun project so far! Yes, English paper piecing takes a lot of time and effort - cutting fabrics, organizing paper pieces for specific blocks, etc - but it is so worth it! I love that I can take this project in the living room (or anywhere else) and work on it when I have time and I'm not tied to my sewing machine. I plan to update again once my blocks are finished and share my progress! 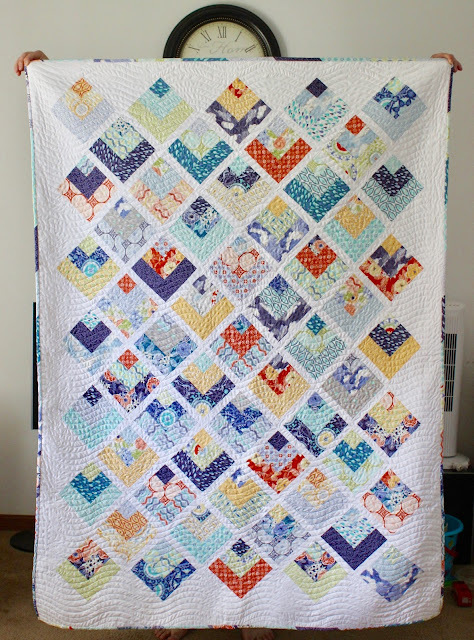 Have you done a quilt top entirely pieced using the EPP method before? What was your experience? Would you do it again? I'd love to hear your thoughts! 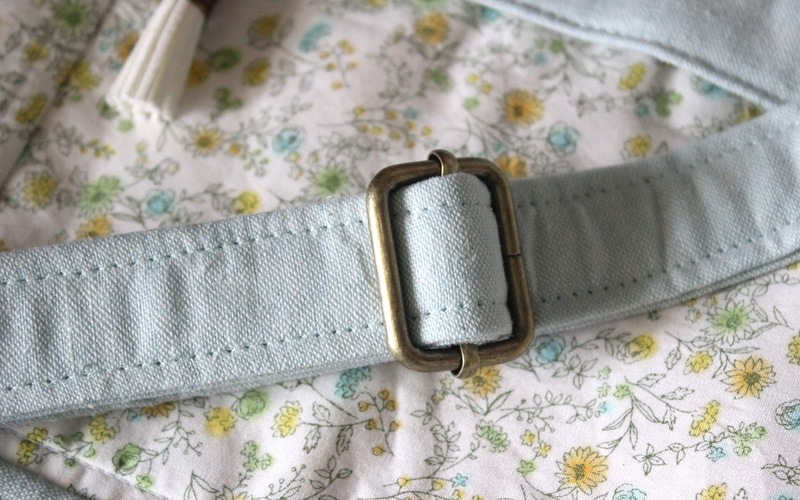 Today I've got a super cute quilt pattern tutorial to share with you using a Jelly Roll! It's a great throw quilt size, perfect for the couch, picnics, etc. 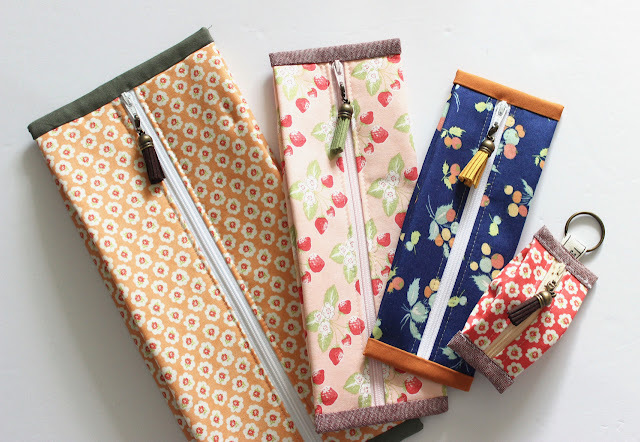 If you're unfamiliar with precuts, a Jelly Roll typically consists of 42+ strips of fabric that are 2.5" wide x WOF. This quilt is also an awesome way to use up scraps! Finished quilt size: 51" x 70"
I hope you enjoy this simple pattern! If you use it please tag #quarterlogcabinquilt on social media. 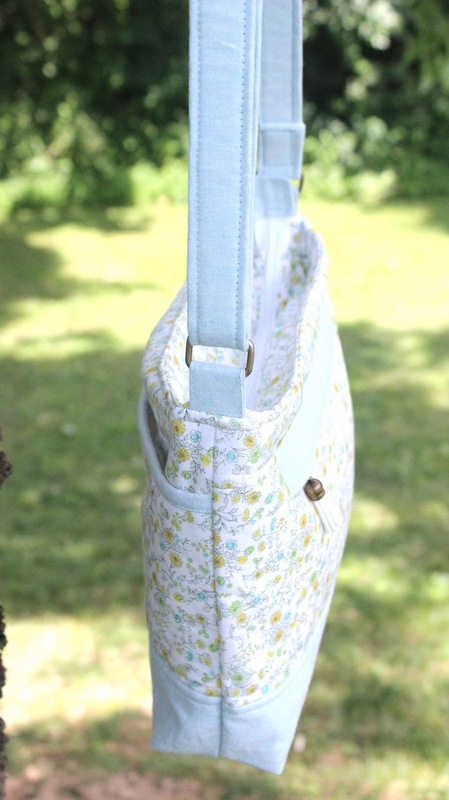 Today I want to share with you a Maker's Tote (pattern by Noodlehead) that I made from some beautiful Scrumptious fabric by Bonnie and Camille which were gifted to me by a dear friend. 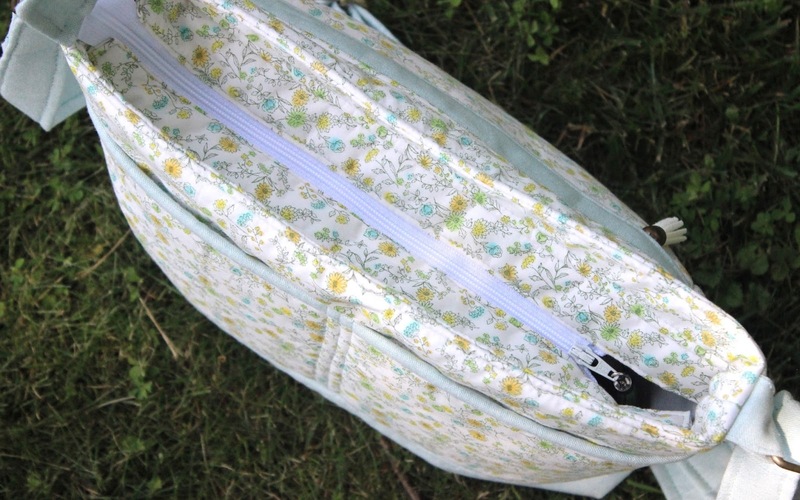 I used Mochi Dot Linen in Putty for the exterior main fabric, along with a gorgeous (if I do say so myself ;)) hex panel done in Scrumptious fabric. Each hex is 1" and I needed nearly 50 for the entire panel. It took me a couple days to sew it together but it was well worth the effort! 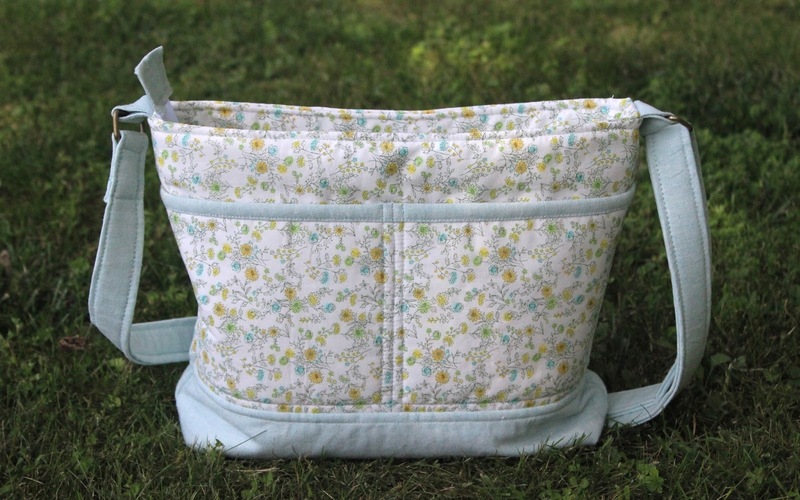 I plan to use this Maker's Tote to store my Smitten EPP quilt while I work on it over the next several months. It will house completed and in-progress blocks as well as necessary EPP supplies. I'd also like to make some matching accessories to go with it soon... maybe a pincushion or a zipper pouch? I am so excited to share with you today the beautiful Luisa Crossbody bag that I tested for S.O.T.A.K Handmade.. 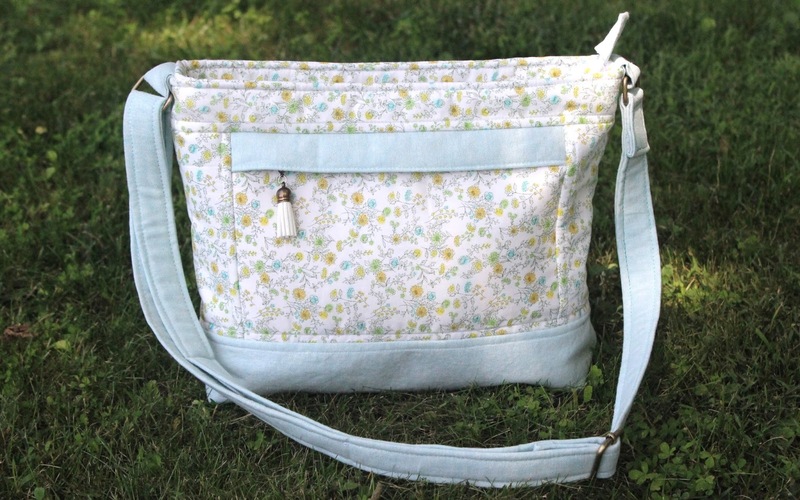 The Luisa bag features a hidden front zipper pocket, two back slip pockets, and one interior zipper pocket as well as a recessed zipper and cross body adjustable shoulder strap. Read below for more photos and details on the fabrics I used! I used a beautiful Sevenberry Petite Garden 2017 floral print that has hints of aqua, lime, and yellow. To compliment this print I chose to use Aquamarine Essex Died Linen and antique brass bag hardware. Instead of using SF101 as a stabilizer, I chose single-sided fusible fleece instead for extra durability. If I made another I would likely use Soft & Stable at least on the bottom panel. The bag construction process is easy for an experienced bag maker. Nothing about the construction was new or too hard. The zipper installations are simple and to the point. My only real suggestion would be to add about 10 inches to the cross body strap if you're a taller person or someone with a large chest (just saying). I am 5'7" and had to extend the strap as far as it would go for it to reach hip level on me. The size of this bag is somewhere in between small and medium. Its not tiny but it isn't large either, and because it's only 2-3" in width it makes it a good every day bag for the essentials. I also really love the recessed zipper top. Those are my favorite kinds of bags!! Overall I really enjoyed making this bag. 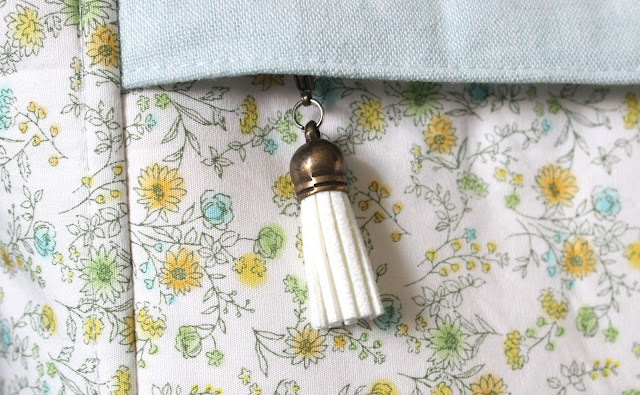 Please go to S.O.T.A.K Handmade blog and checkout her Etsy pattern shop to see this pattern and more!